Success: Thank you for subscribing! You will begin receiving emails as new content is posted. You may unsubscribe any time by clicking the link in the email. At first login users are asked if they would like to send the information gathered and can preview that data if they wish. We are asking for this data in order to build a better picture about our user base, and indeed the user base of any other distro that would like to get involved. With this data we can understand typical hardware setups and ensure that we are aligned with that hardware. We also get a good insight in to which translations are most important and where in the world people are using Ubuntu – all of which means that decisions we make for Ubuntu desktop will benefit all our users. In February we committed to making this information public, and that is absolutely what we will do. Our design team are working on the best ways to present the data and ensure that information is safe and anonymous. Our web team will then implement those designs on a public website. This work is scheduled to be completed during the 18.10 development cycle. In the meantime however, I am pleased be able to offer some initial insights which I hope you will find interesting. 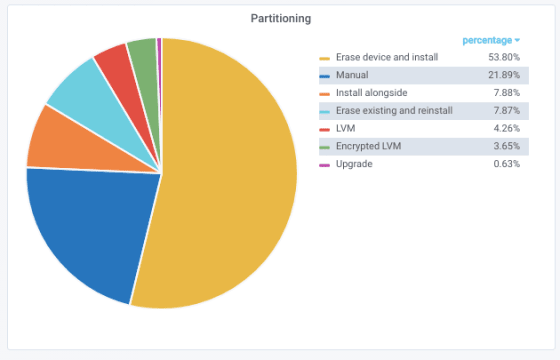 One thing to point out is that this data is entirely from Ubuntu Desktop installs only and does not include users of Ubuntu Server, Ubuntu Core, our cloud images, or any of the Ubuntu derivatives that do not include the ubuntu-report software in their installer. This has held steady since release and has started to increase in recent weeks. The average install of Ubuntu Desktop takes 18 minutes. Some machines out there can install a full desktop in less than 8 minutes! While 18 minutes is faster than many other OS installs out there we are still looking in to how we can optimise this further. The number of people upgrading an existing Ubuntu installation is about a quarter of those who are installing 18.04LTS from scratch which, given that we only start prompting for upgrade when the .1 release is out (scheduled for July 26th) is unsurprising. Another interesting fact is that the newly introduced Minimum Install option is being used by a little over 15% of our users. This is a brand new option but is already attracting a considerable fanbase. Other installer options show that nearly everyone chooses to download software updates during installation, over half the installs include restricted addons (media codecs) and 28% of users select automatic login. 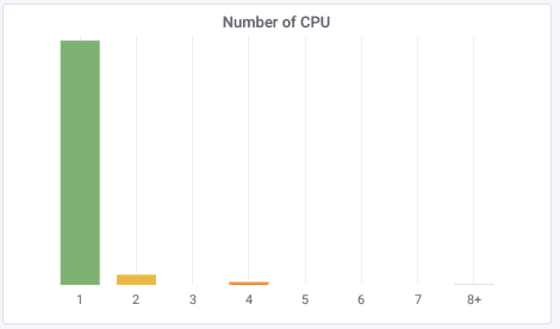 A single CPU is most common, and this is not very surprising. We haven’t broken this down to cores but is something we will look in to. Most people choose to wipe their disks and reinstall from scratch. The second most common option is to use a custom, manually created partition table. Creating partition tables manually is an advanced process and we will investigate ways to make this easier. Full HD (1080p) is the most popular screen resolution, followed by 1366 x 768, a common laptop resolution. HiDPI and 4k are not yet commonplace. 4k screens have been around for a while now but are often priced much higher than the full HD counterparts so the numbers are not entirely surprising. A few people are using multiple graphics cards, and this could be for machine learning, cryptocurrency mining or gaming. A single monitor is far and away the most common set up. 4 & 8 GB of RAM is fairly common. 1GB is less common while 128GB putting in an appearance is a little surprising! This data is based on the timezone selected at installation and not on IP address geo-coding. We do not store IP address. The US has the biggest concentration, but this could be skewed by people using the defaults during installation. Brazil, India, China and Russia are also big users of Ubuntu and we have users literally all over the globe in every country! Thank you to everyone who has shared their data. 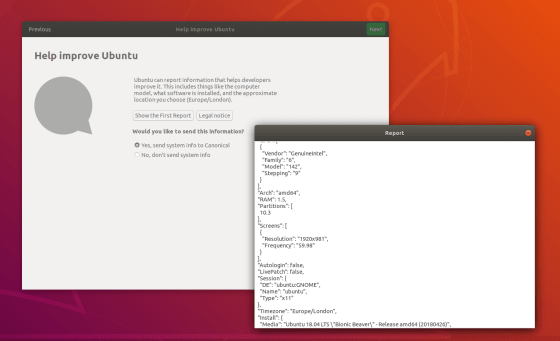 I will share more information about the public website as soon as I can and we’d love to hear your thoughts on these insights into our Ubuntu users.